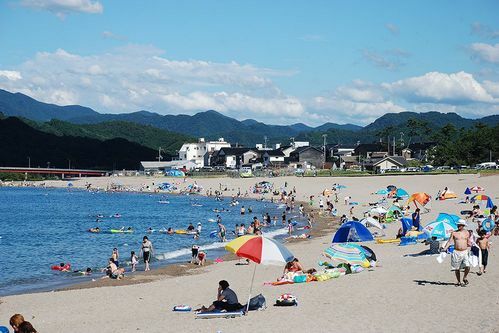 Hamasaka's public Sun beach has a beautiful coastal view. 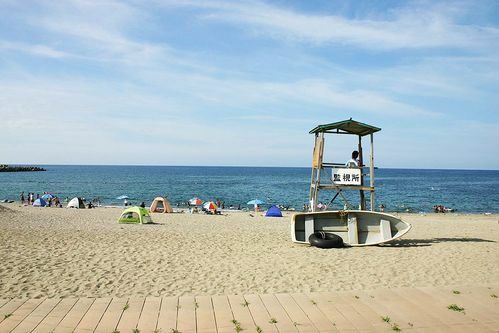 It is one of several public beaches located in the San'in geological park. 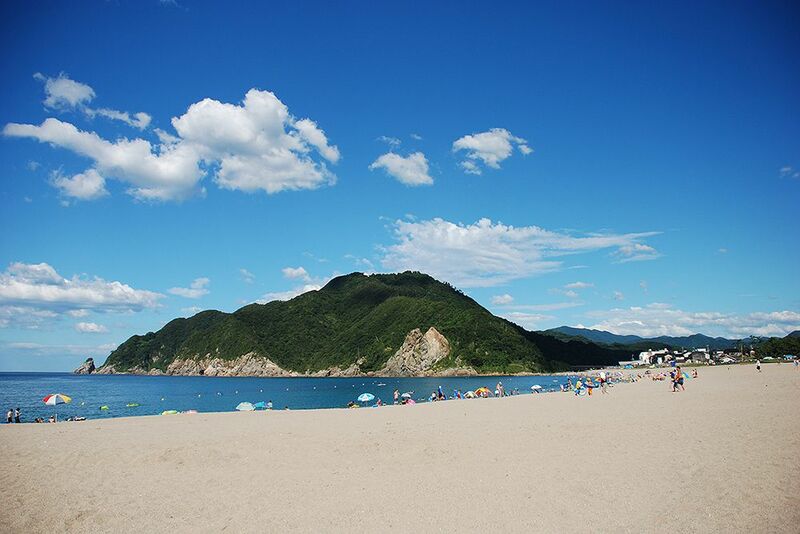 With shallow waters and calm waves, the pine grove covered beach and campgrounds attract many people during summer. 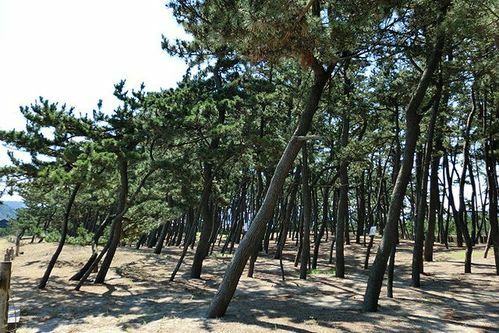 The pine groves, set up as an erosion control mechanism, is a sacred place for lovers and was selected as on of Japan's 100 Best Beaches with White Sand and Blue Pine. 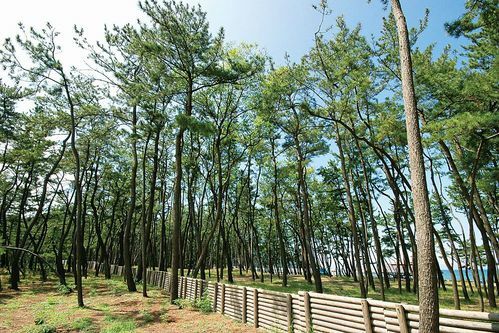 Every summer, there are many events that keep the area lively, such as fireworks festivals, parades, and traditional dances.